Wilkinson, J. Cory - Groelle & Salmon P.A. 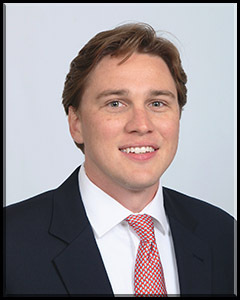 Cory Wilkinson is an associate in the Tampa office where he primarily defends insurance carriers in first-party property claims. Prior to joining Groelle & Salmon, P.A., Mr. Wilkinson gained valuable litigation experience representing insurance carriers and employers in workers’ compensation disputes, particularly in nuanced heart and lung claims. Mr. Wilkinson is licensed to practice law in the state of Florida and is also a member of the Hillsborough County Bar Association. He received his Bachelor’s degree from the University of Texas at Austin in 2011 before returning to the Tampa Bay area and earning his Juris Doctor from Stetson University College of Law in 2015. Stetson College of Law , J.D.